YFC Colombia, under the guidance of YFC Colombia’s National Director Fernando Trevino, reaches out to the hurting and impoverished in Colombia. 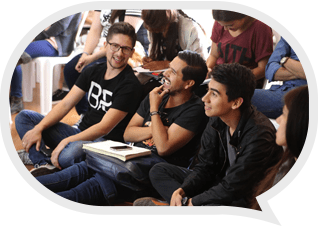 The staff and volunteers at YFC Colombia have a vibrant, dynamic and very powerful ministry among the youth of the city of Bogota and surrounding areas. They minister on the street, in schools and on wilderness camping trips, to name just a few. Our project has three parts to it, two of which have been completed. New Life has provided sound equipment such as microphones and amplifiers and lights (2009) and projectors and school outreach equipment (2010) so they can more effectively bring their message to the people. It is our plan in 2011 to complete the project by helping with camping equipment. YFCC reaches thousands of youth every month, sharing with them the love of Jesus, soccer camps, sexual purity workshops, worship services and more.